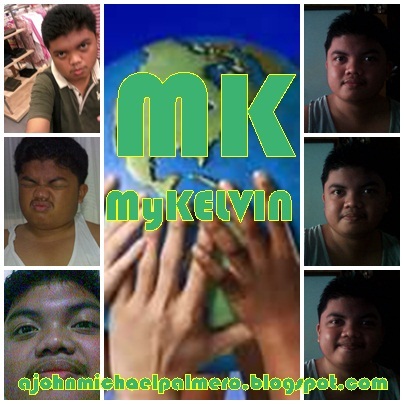 As the new year has started, I (John Michael Angelo) will be having a special promo for all blog readers who wants to make their Valentines special this coming February 14, 2013. Here are the simple easy as 1-2-3 mechanics on how to join this ultimate giveaway. Why do you want to be the Valentines Promo Winner of MyKelvin 1st Giveaway Contest? Note: Twitter must be public and Facebook link of you and your partner must be public and must follow the Steps 1 and 2 in order to qualify. Be a part of the 1st Giveaway of MyKelvin this 2013. P.S. This incoming Valentines day is actually a double celebration for me and my lovey. It's our 28th monthsary + It's valentines day... So, It's really going to be a big special day :) Thank you! Age: 19 turning 20 this year :| hahaha! Since its Valentines day, I want to spend it with my boyfriend ,same day that we will be spending our 22th monthsary together. I want to be the Valentines Promo Winner of MyKelvin 1st Giveaway, because it will be a very big help since all the money that we only have is our allowance, and it is not enough to celebrate Valentines together. We are both excited on winnig this giveaway! :D Thankyou.